No showings till 4/14 open house. 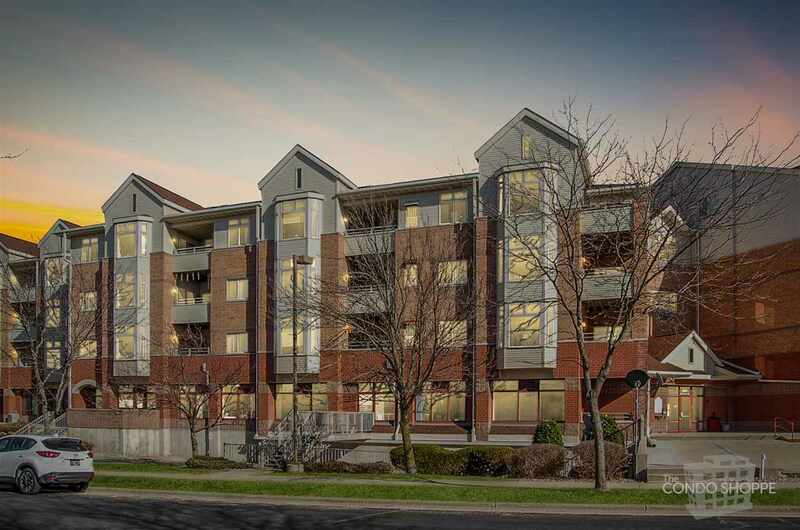 Don't miss this top floor condo at Junction Point! Beautiful sunsets from LR's generous bay window with cathedral ceiling or while grilling on the larger-than-average deck this summer. Light pours in from the skylights in loft-perfect for media room, art studio or office. Kitchen has newer stainless range, dishwasher and microwave. Also features bamboo floor, water filter w/ dedicated drinking water faucet, heavy duty disposal, ultra violet air cleaner, keyless electronic dead bolt. Also walk-in closet, double vanity in master bath, big storage unit and two parking stalls. Directions: Junction Rd To W On Elderberry. R On Harbour Town. Enter Lobby At Back Of Building.